Merry (almost) Christmas! The holiday season is certainly in full swing: trees are going up, Christmas songs are on the radio and the festive panic buying is beginning. When it comes to buying for a booklover, there is only one thing you need to know, anything remotely related to books will go down a treat! What better gift could a bookworm possibly receive than a limited, special or (even better) first edition of their favourite book? If someone bought me a 1/1 copy of Harry Potter and the Philosopher’s Stone, my life would be made. Be it for a book-box or an Audible account, subscriptions make for excellent year round gifts – my favourite is the Goldsboro Books Book of the Month Club, allowing your recipient a signed first edition every month. There’s something wonderful about a beautiful bookmark, be it enscribed with a life-changing quote, a picture of their favourite character, or even a giraffe or a sloth. One thing I love to do is to make a physical note of all the books I’ve read, along with their rating and my favourite quote. What better place to make that note than in a beautiful bookish notebook? What booklover wouldn’t want some fabulous fandom related merch? Of course, I can only speak for myself, but nothing makes me happier than receiving yet another Potter t-shirt/pyjama set/free Dobby socks. 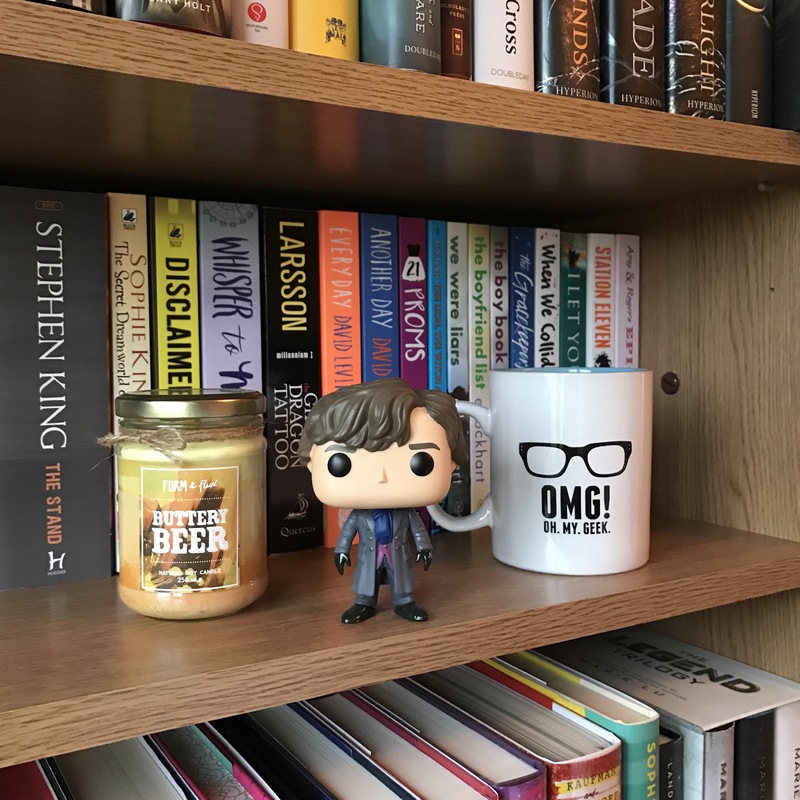 I love Funko Pops; even more so when they are of my favourite bookish characters. From Conan Doyle’s Sherlock Holmes to Tolkien’s Legolas, from Collins’ Katniss Everdeen to Rowling’s Harry Potter, there is a Funko for every bibliophile. Snuggling down with a blanket, a cuppa, a book and a scented candle burning sounds like heaven, right? It’s a very plausible reality; and there are plenty of bookish options available. Tea/coffee/hot chocolate and reading go hand in hand, especially over the winter months, so a book-related mug is ideal for those caffeine addicts in your life. You can’t really go wrong with books: you can plump for the genres you know your booklover enjoys, or go totally outside of the box and hope you introduce them to a new love. Or if you are totally stuck, gift cards work just as well – and that way you can ensure no duplicates! My go-to for bookish candles is definitely The Melting Library. Raquel is simply the best. There are so many fantastic options out there though, especially on Etsy!